The Global Volcanism Program has no activity reports for Ixtepeque. The Global Volcanism Program has no Weekly Reports available for Ixtepeque. The Global Volcanism Program has no Bulletin Reports available for Ixtepeque. Ixtepeque volcano, which takes its name from the Aztec word for obsidian, is perhaps the largest obsidian field in North America. A 4 x 5 km wide rhyolitic obsidian lava field was erupted within the Ipala graben from a craterless vent along a NE-trending fissure that passes through adjacent rhyolitic lava domes and basaltic cinder cones. Obsidian from Ixtepeque has shown up at archaeological sites across Central America. Flat-lying pumice beds produced by explosive eruptions preceding lava effusion are found locally around the volcano. Other obsidian flows originated from lava domes NE of Ixtepeque. These rhyolitic vents are interspersed with basaltic cinder cones and lava flows. Laguna de Obrajuelo is a complex cone cut by a large crater more than a km in diameter. Initial basaltic eruptions were followed by the extrusion of obsidian flows and the eruption of rhyolitic pumice that were considered by Williams et al. (1964) to be only a few thousand years old. The Global Volcanism Program is not aware of any Holocene eruptions from Ixtepeque. If this volcano has had large eruptions (VEI >= 4) prior to 10,000 years ago, information might be found on the Ixtepeque page in the LaMEVE (Large Magnitude Explosive Volcanic Eruptions) database, a part of the Volcano Global Risk Identification and Analysis Project (VOGRIPA). There is no Deformation History data available for Ixtepeque. There is no Emissions History data available for Ixtepeque. 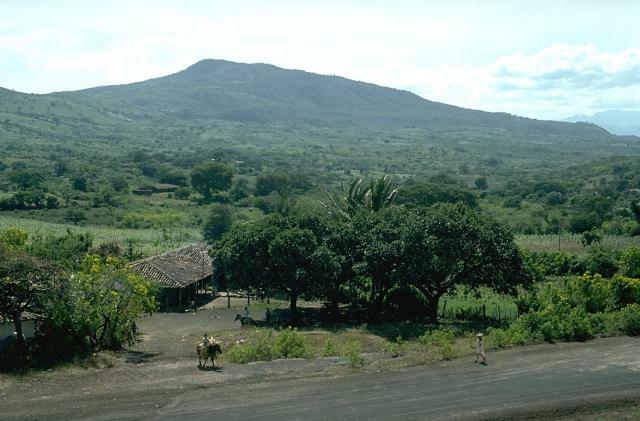 Ixtepeque volcano is perhaps the largest obsidian field in North America. The low, forested volcano is not particularly imposing from the ground, but displays impressive arcuate flow ridges on aerial photos. Volcán Ixtepeque, which takes its name from the Aztec word for obsidian, is seen here from the west. A 4 x 5 km wide rhyolitic obsidian lava field was erupted within the Ipala graben from a craterless vent along a NE-trending fissure. Obsidian from Ixtepeque has been found at archaeological sites across Central America. Large Eruptions of Ixtepeque Information about large Quaternary eruptions (VEI >= 4) is cataloged in the Large Magnitude Explosive Volcanic Eruptions (LaMEVE) database of the Volcano Global Risk Identification and Analysis Project (VOGRIPA).